We are at the airport waiting for our flight to Vegas. I'm so excited! Plus, I think I am getting better from my cold so that makes it all the more exciting. I can't wait to have a drink! If I drink too much I may end up in bed looking like Miss Cricket! I hope we win some money. But mostly I hope for good conversation, cocktails, and sleep! wo0t! Have a ton of fun in Vegas lady! 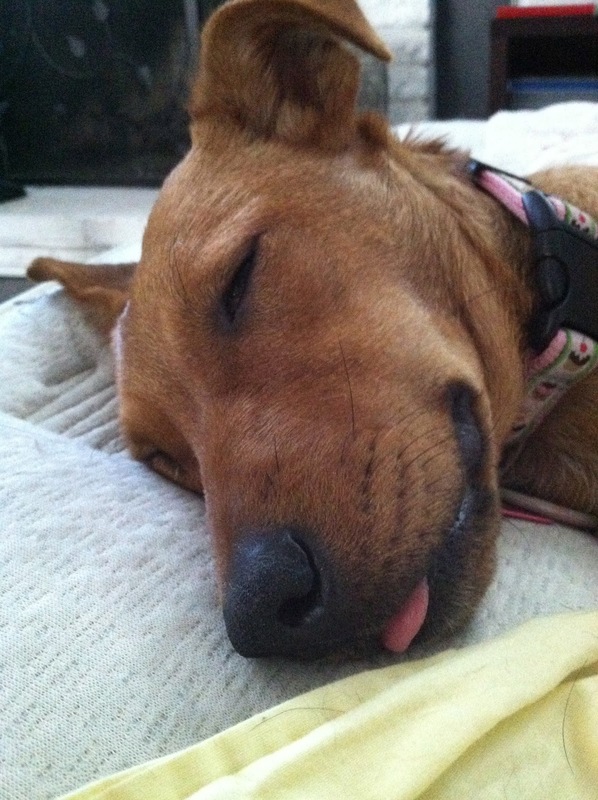 LOL it's adorablde how your dog fell asleep with her tongue out! Aww what a sweet little baby!